KUALA LUMPUR (March 13): Low-cost carrier AirAsia Group Bhd stands to benefit from greater market dominance if the government decides to do away with national carrier Malaysia Airlines Bhd, according to Hong Leong IB Research (HLIB Research). In a sector note today, HLIB Research maintained its "neutral" call on the aviation sector following a report on government looking into ways to resolve Malaysia Airlines' financial conundrum with several options on the table. The research firm said it remains doubtful of Malaysia Airlines owner Khazanah Nasional Bhd's willingness and ability to sustain the airline's continued losses. The research house opined that as Malaysia Airlines was not part of Khazanah's core portfolio, the latter may be willing to part away from the national carrier. "We believe it will be wise for the government to divest MAB (Malaysia Airlines) (instead of shutting down) or find a strategic partner, which will solve the issue of government's cash drain while reducing the overall impact on staff layoffs, as the takeover entity will still need a workforce to run MAS operation," it added. HLIB Research said the options tabled by the government, including possibility of shutting down or divesting the national carrier, will result in the capacity cut for Malaysia Airlines, which may benefit AirAsia in gaining further market dominance. However, this is negative to Malaysia Airports Holdings Bhd (MAHB), at least in the short term, due to lower airport traffic flow. As such, the research house has upgraded its recommendation on AirAsia to "buy" from "hold" following the recent drop in its share price, with an unchanged target price of RM3.20. 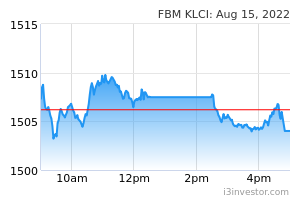 Meanwhile, it has maintained its "hold" call on MAHB with an unchanged target price of RM7.50. "The loss of MAB as AirAsia's (including AirAsia X Bhd's) main competitor will certainly improve the latter's market position in Malaysia. MAB has a market share of 20.6% for international traffic and 32.3% of domestic traffic in KLIA/KLIA2 and estimated 35% of total traffic in other airports," the research house noted. As for the MAHB, the HLIB Research said the restructuring in Malaysia Airlines could affect the airport operator's passenger traffic and earnings growth potential. "We anticipate that a full slot take up by other airlines in replacement of MAB will not be immediate," it added. 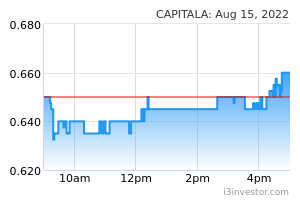 At 11.33am, AirAsia gained 0.36% or 1 sen to RM2.75 with 1.84 million shares traded. Meanwhile, MAHB dipped 0.13% or 1 sen to RM7.73 with 770,400 shares done.